What is Qride in Mackay? QRide motorcycle training course in Mackay is a competency-based training and assessment curriculum that aims to ensure participants reach a demonstrated level of skill and proficiency as a motorbike rider. 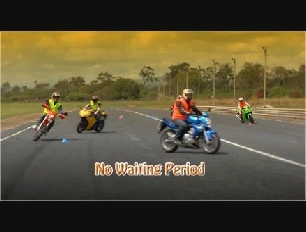 The Qride in Mackay learn to ride program focuses on improving the quality of pre-licence rider training, with the aim of boosting education and awareness, and enhancing road safety. Where do I get a motorcycle Learner Permit? To participate in motorcycle training or Q Ride training and assessment, as a minimum you must hold a current class RE motorbike learner licence. If you wish to obtain a class R motorbike licence, you must have held a class RE provisional or open licence for at least one year. 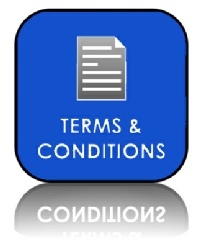 The Learn2ride Mackay Q-Ride training and assessment course consists of a number of competency standards. We train well above the minimum standard however that doesnt make the course more difficult, it just means that you are exposed to more techniques and skills during the course. And that’s the stuff that WILL keep you safe on the road. When you learn to ride a motorbike you must display a L-plate and carry your class RE learner, provisional or open licence. Your licence must be shown to a police officer or any other authorised person if you are asked to do so.If you have never ridden a motorcycle before or have limited experience you may need a Private 1 on 1 training session as part of pre Qride assessment training. Please discuss this with your trainer. When you have demonstrated you are competent in all of the Q-Ride competencies, Brett from Learn2ride will issue you with a competency declaration (Q-Ride Certificate). Before you can ride unaccompanied on your motorbike you must take your current licence and Q Ride Certificate to a Department of Transport and Main Roads customer service centre to apply for your motorbike licence. Although you will not be required to do a practical driving test, you must be eligible for the licence you are applying for. You will not only Learn the basics of motorcycle control but also how to manage traffic and road situations. If you have an overseas motorcycle license you may be able to convert this licence to a Queensland RE or R motorcycle license quite easily. Contact Brett on 0447714336 for details. Book your Qride course in Mackay today. Learn to ride a motorcycle - it's a whole new experience! Not ready for your test yet?